Shanghai Jiawen Performance Industries Limited is located in China. We specialize in automobile exhaust systems, intercooler piping, wheel lock kit, casting and pressing parts. We have many established designs and fashion products for worldwide markets. 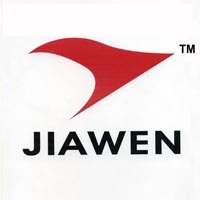 Shanghai Jiawen Performance Industries Limited has earned a worldwide reputation that is based not only on the extensive knowledge of our experienced staff, but also due to strict management of all aspects from initial products development to final on-time delivery. Our quality products are produed for the mutual benefit of all with the aim of continued long -term relationships with all our customers. 1): Automobile &motorcycle exhaust systems - Header, Manifold, Muffler, Bend Pipings, Clamps, Muffler Tips and etc. 2): Intercoler systems - Intercooler Core, Piping, Silicone Hose, Clamps and etc. 3): Wheel Lock Kits - Lock bolts and nuts for the majority of vehicles. 4): Casting and Pressing Parts as per your designs. Jion us in exploring our product line for the worldwide market, and assure you of great satisfaction in trading with us. We also welcome your drawing or samples to develop new products according to your requirements.